Ready to be "Dunn" in the sun?? Dunn Inn 2 is the perfect spot for your next vacation! 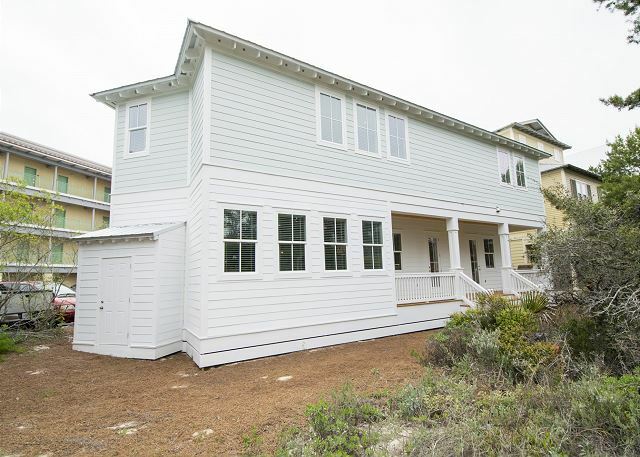 Dunn Inn II is located in the Seacrest Beach resort, so after you have enjoyed your day at the massive Seacrest Lagoon pool just a few blocks away or the gorgeous Emerald Coast, come home and relax in this new 5 bedroom home built in 2016! 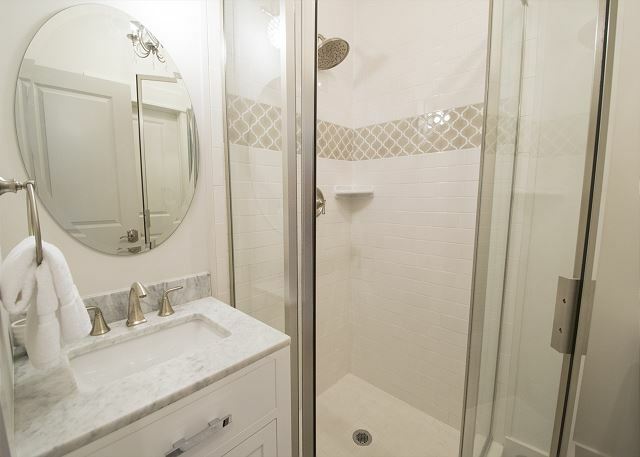 It is perfect for multiple or large families. Dunn Inn 2 comfortably sleeps 8 adults and 9 children. Walking in through the front door, you enter the giant great room and open dining area and kitchen. 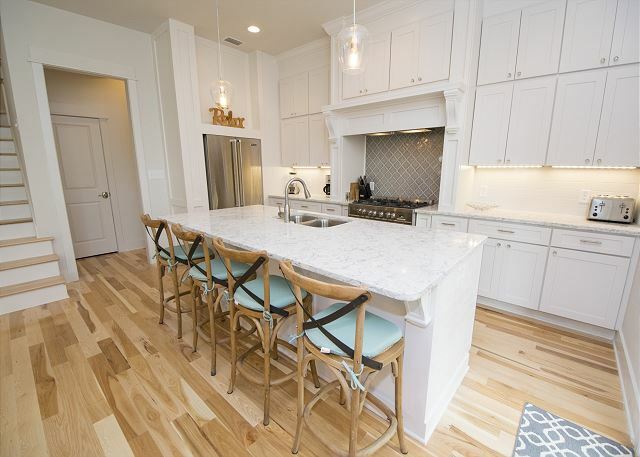 The kitchen is all high end stainless steel appliances, granite counters, a Keurig and a breakfast bar which seats 4. Our dining room table has seating for 8 along with a bench along the windows in the living area that will also have a table seating 4. 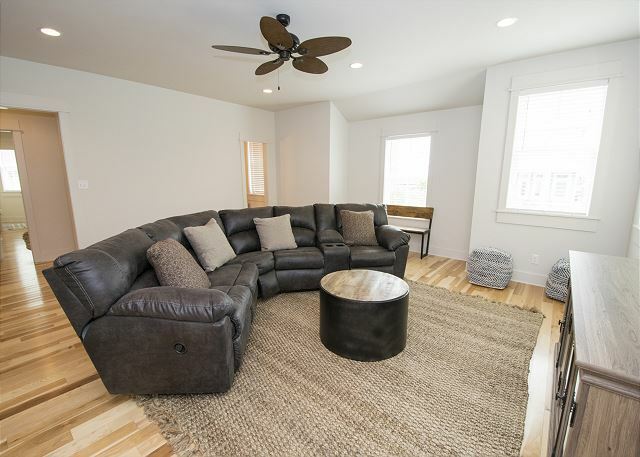 The living area is beautifully furnished with a large sectional sofa and has a gas fireplace with a 65" TV above and a DVD player. 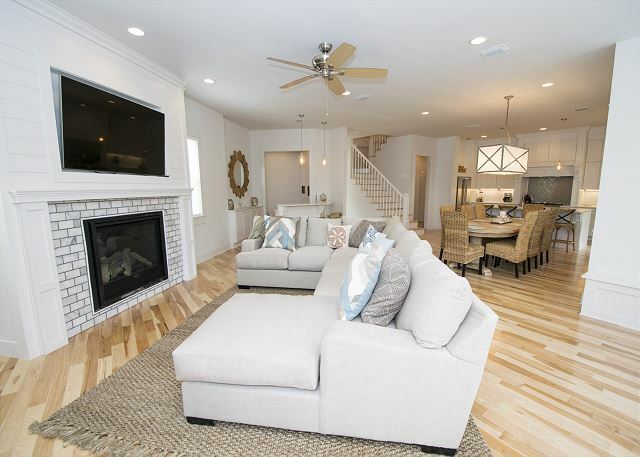 A great entertaining bar/wine area makes this floor plan the perfect gathering place. The 1st floor has two bedrooms. One features a King bed, private bath, 43" TV, and two built in bunk havens each with a 24" TV. 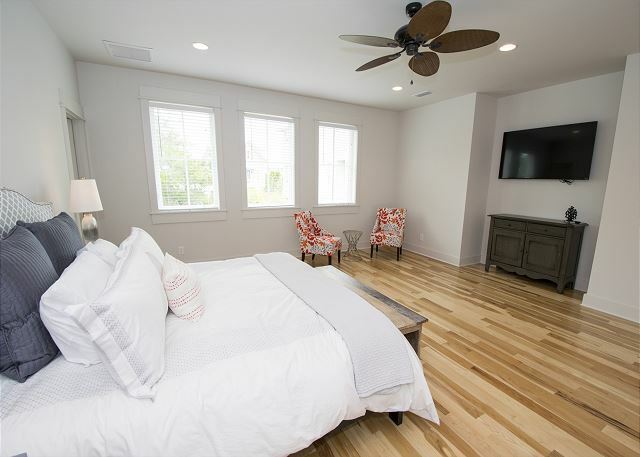 The other bedroom features a Queen bed with a 43" TV, and it has an entrance into a full bathroom with tiled walk in shower. 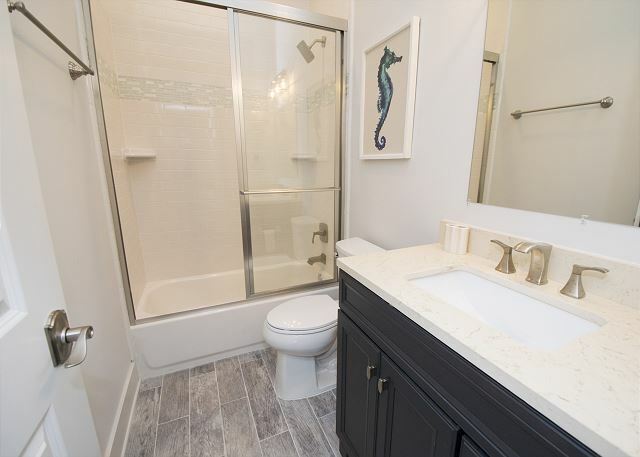 This bathroom also has an access from the hallway. Heading up the stairs you'll enter the giant living room/playroom with an awesome oversized sofa. We've included a 60" TV on the wall for all of your gaming and viewing needs, and there's a DVD player for movie nights. 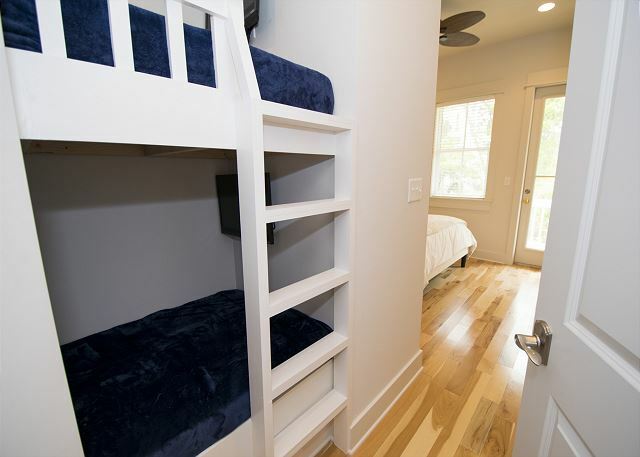 Located just off the playroom is the bunk room with 7 beds! 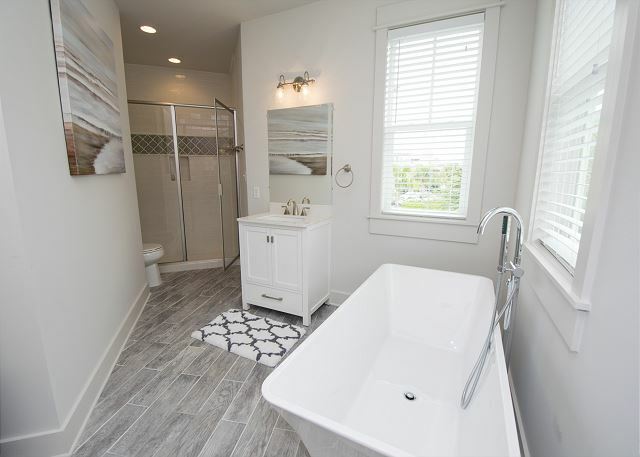 This room includes a 42" TV on the wall for the kiddos with a full bath just outside the door off the hallway. There is a separate entrance to the Queen bedroom upstairs located just across from the playroom. 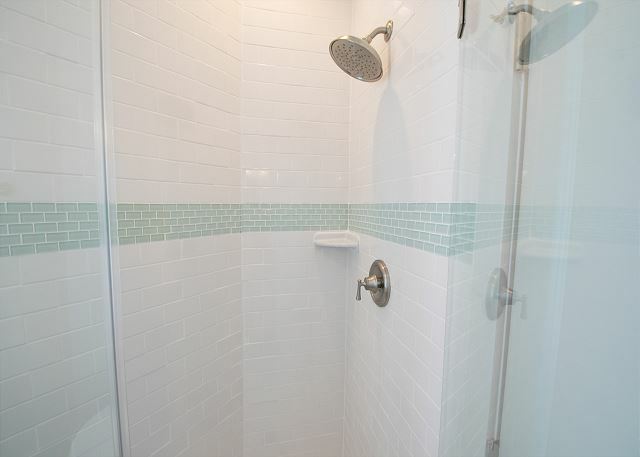 This room features its own full bathroom with walk-in tiled shower (and 43" TV). And finally, the HUGE master bedroom with a fitting huge walk in closet. 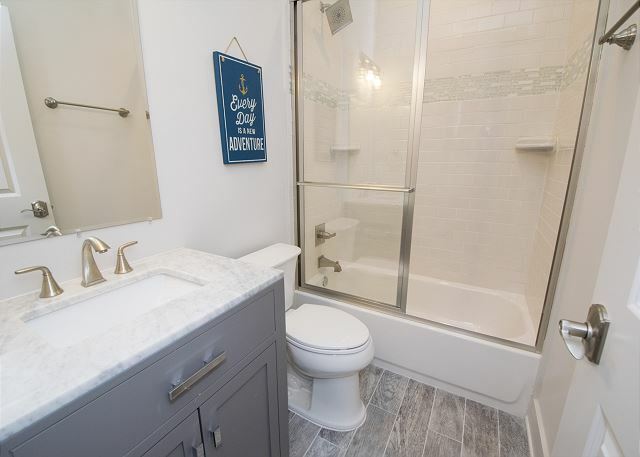 The master has great windows and an immaculate private bath featuring a stand along bathtub, two separate vanities and a tiled walk-in shower. The master has a 55" flat screen TV. The deck off the living area is a great place to relax after a day in the sun. There's a gas grill for your cooking needs, and we've also added a Crock Pot.. Grab some local seafood and enjoy a night in! *Parking for Dunn Inn is very limited - 2 cars can park in the driveway and there is first come-first serve parking throughout the neighborhood. THE HOUSE WAS AWESOME. AFTER THIRTEEN YEARS, IT WAS OUR FAVORITE HOUSE (INSIDE). THE SIX GRANDCHILDREN LOVED THE BUNK ROOM AND SLEPT TOGETHER EVERY NIGHT!!! NO SNEAKING BACK INTO THEIR PARENTS ROOMS. Thank you for taking the time to submit your review! 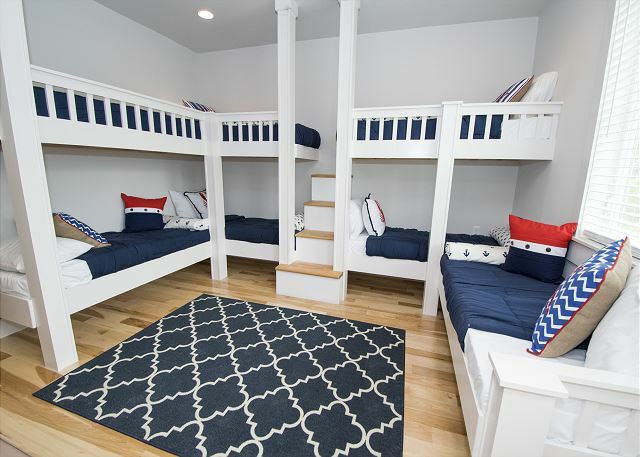 We are so glad you enjoyed the home - it is a great place for the kids with all the room to hang out and the bunk room - what a great space! We do understand that you were a little frustrated with the parking - that can be a challenge at times in this area at times - other times its not a problem at all! The location is a great one, however! Within walking distance to area restaurants - La Cocina and George's being a couple of the favorites and close to shopping also! If you are with us on a Sunday - take a leisurely walk down the path to Rosemary Beach and experience the Farmer's Market. Oh and you are wondering about the beach? Hop on the tram and you will taken right there to some of the most beautiful beaches in the world! Dunn Inn 2 has it all so we are waiting for your call! Call Benchmark today and we can set you up! We love coming to Seacrest Beach. This house was the perfect size for three families with eight kids. The pictures dont do justice to how large the family room and back deck are. Youll be pleasantly surprised. The house is fully equipped with everything you need including just about anything you want to cook. The interior is comfortable and well designed. The pool is a five minute walk. The tram stop is 2 minutes or less away. The walk to Georges and Neat is less than 10 minutes. You will only have room for 2 cars in the driveway, but there were plenty of close spots in designated street parking spots. Thank you for submitting your review - we are so glad you enjoyed your stay at Dunn Inn 2. 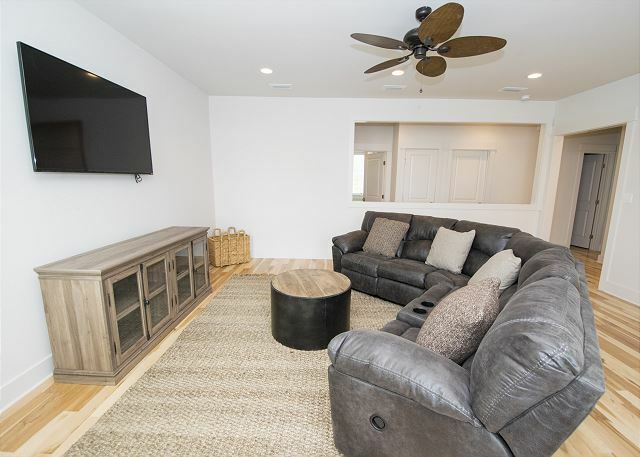 This is truly a great spot on 30A to bring your family and enjoy the convenience of everything that is close by - the pool, the beach, the restaurants, the shopping! It is all here for you! And when you want to relax after all the activities - just come on inside - send the kids to their own hang out area upstairs while the adults enjoy a comfy space to relax and unwind. Dunn Inn 2 is an experience you will want to have! Call Benchmark today and let us see what we can do for you! This was our second consecutive year for our family of 11 to stay at this beautiful home. We love Dunn Inn 2 for our yearly beach vacation and plan on staying again in 2019. The home is very clean, open, and spacious. The management service was great at handling any additional requests. Looking forward to 2019! 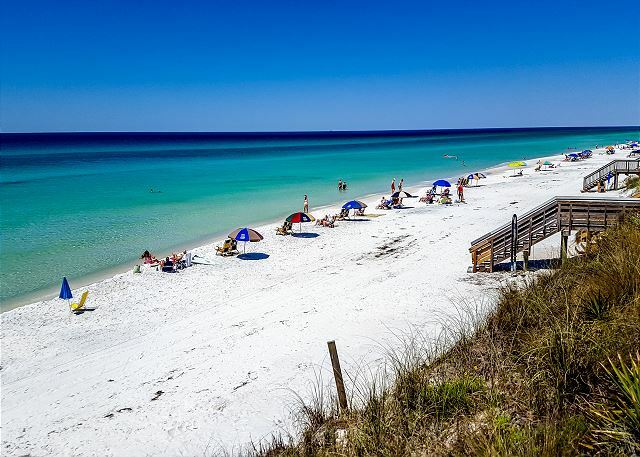 Love the 30a area. Thank you for submitting your review and thank you for continuing to work with us! So glad we could also accommodate you and your family for 2019! Dunn Inn 2 is a great place to create new family memories! 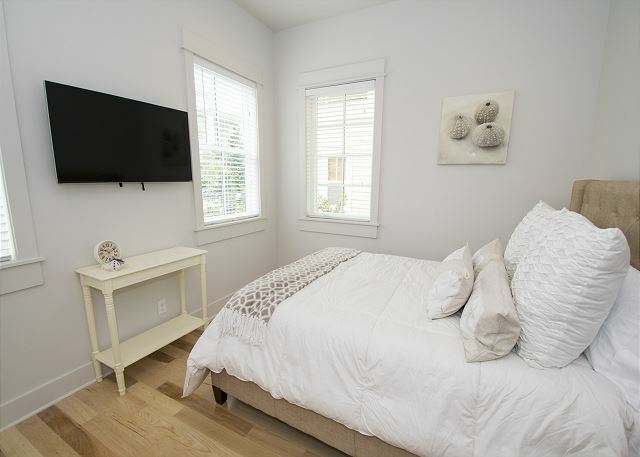 Great space for adults and kids alike - there is plenty of room for all! 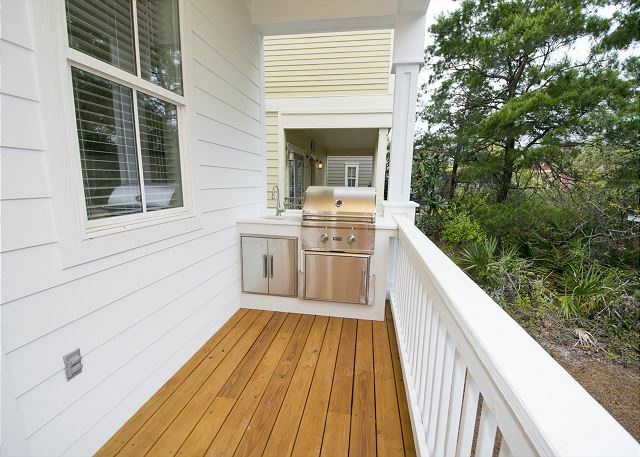 Great outdoor deck as well - room to lounge while grilling the shrimp on the barbie!! 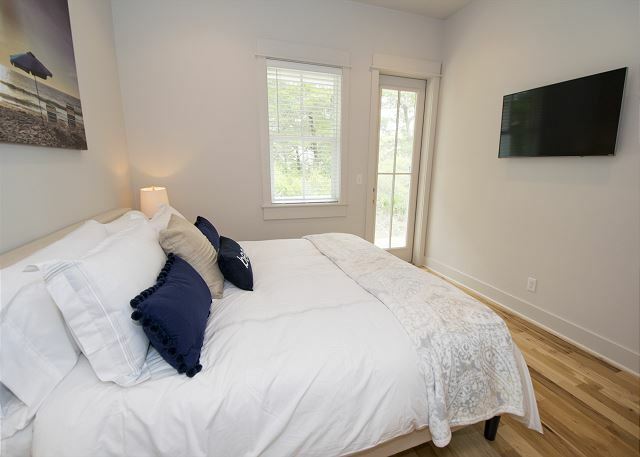 From the moment you walk in to Dunn Inn 2 you will feel relaxed and comfortable. 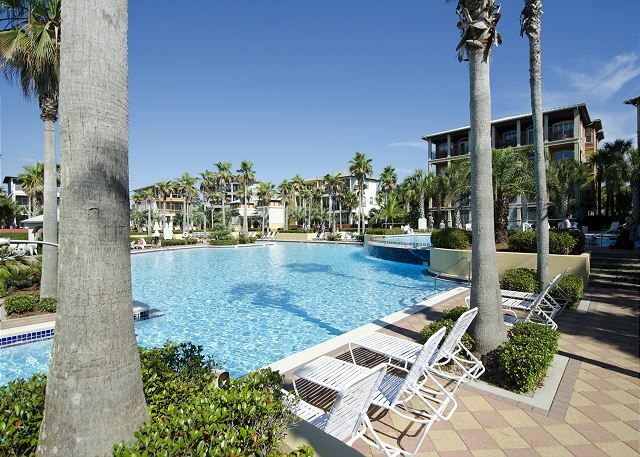 The owners have taken great pride in ensuring that you have everything you need to make this your best family vacation yet - and that is exactly why some families continue to come back year after year! And we cannot fail to mention the beach - after all that is one of the best parts! Just jump on the tram when you are ready and they will make sure you get there safely! Nothing like a day in the sun watching the beautiful green-blue waves rolling in with the white sand under foot and a drink in the hand! You deserve this experience - call Benchmark today! We could not have been happier with our stay at Dunn Inn II. The home is beautiful and has everything you could need. It is close to the tram stops for trips to the pool and beach and our grandkids loved the trams! The drivers were so cute with them! The staff at Benchmark were also extremely helpful and responded quickly to any questions we had . Were hopong to move this to an annual trip rather than every two years and we would choose this home again. For reference, we had 8 adults and 8 kids and had plenty of room. The only less than 5 star review came from the location- it is on the very end of a smal street and next to a parking lot so it was tight for parking and not a great view. Thank you for taking the time to submit your review! We do understand that parking can be difficult in this area - especially during the busy summer months! 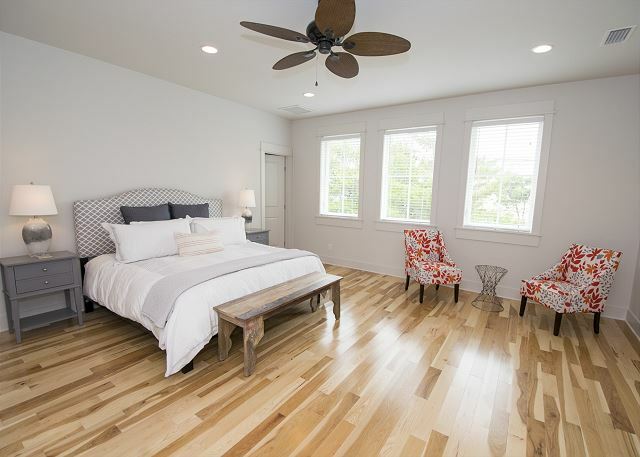 We are so glad you enjoyed your stay at Dunn Inn 2 - this is such an amazing home! Very spacious, comfortable and so well decorated. There is something for everyone to enjoy! The area is wonderful as well - so convenient with several shops and restaurants within walking distance its hard to beat this location! 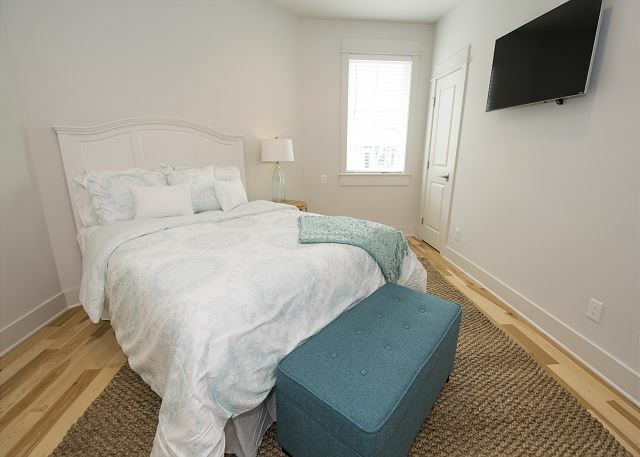 We would love to help you experience Dunn Inn 2 so call Benchmark today! We are 3 families that came with 8 high school boys. The adults and kids all had a fantastic time. The house was perfect for our needs. Incredibly well equipped, clean, beautiful and fantastic location. We would love to come back. Thank you for taking the time to submit your review. Dunn Inn 2 is a great experience for all! Absolutely gorgeous home, fantastic neighborhood that has something for everyone and a tram service that will take you right to the beach! 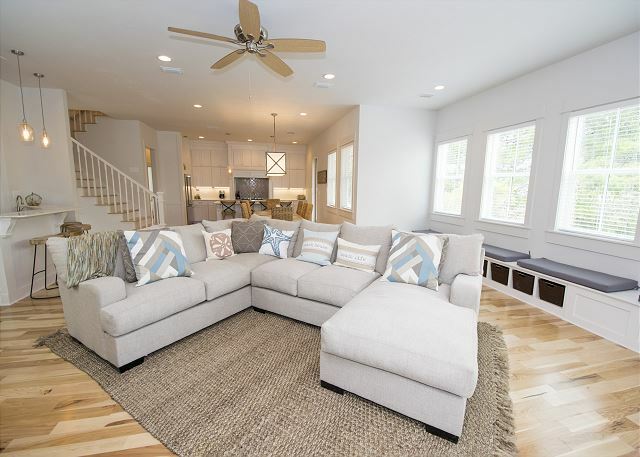 This home has a ample space to hang out - both inside the kitchen and living area as well out on the back deck. Also just an easy walk to the restaurants, shops and courtyard at Peddler's Village in Seacreast! There are so many activities - you should consider staying 2 weeks!! Don't miss out on Dunn Inn 2 - call us today - you have family memories to create!! 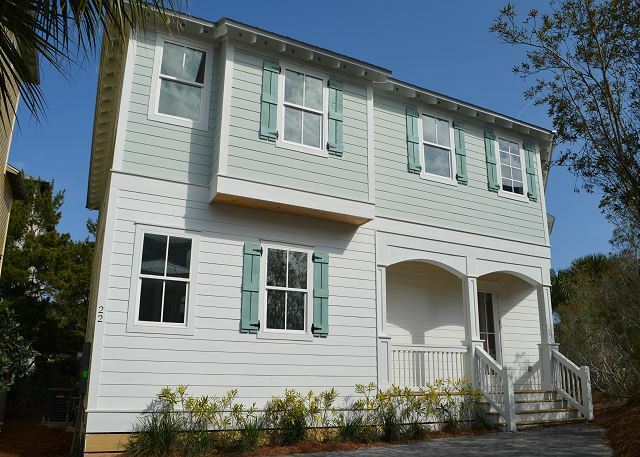 We loved this beautiful home and its location in Seaside . The home was beautifully appointed, the beds were comfortable, the kitchen was well stocked. The open floor plan allowed for gathering to enjoy our time together. Our only comment is that the bunk beds were not comfortable for adults to sleep in, they have thin mattresses that are most likely great for kids only. Thank you for taking the time to submit your review - we truly appreciate your comments. This is such a gorgeous home! 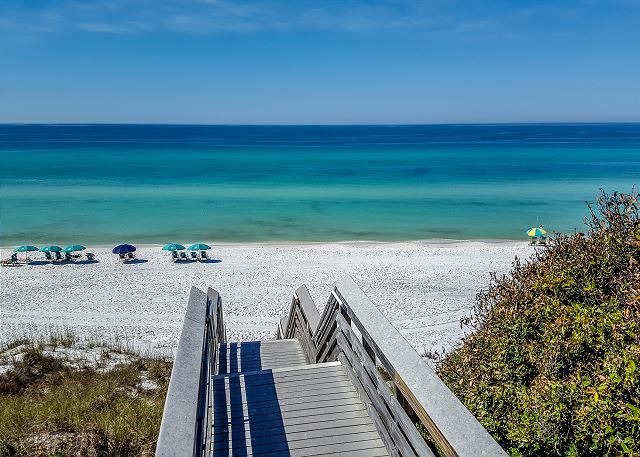 It is a great place to gather with family and friends and then just a short walk to jump on the tram to take you to the beautiful white sandy beaches of the Gulf! 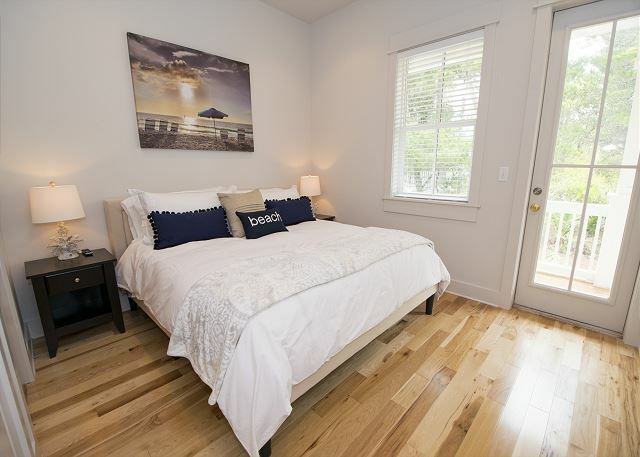 The location of Dunn Inn 2 is ideal as well - so close to the restaurants and shops of The Peddlers Village in Seacrest Beach and just a block farther to Rosemary Beach. If you have not yet experienced Dunn Inn 2 - NOW is the time!! We do hope you will join us again soon.